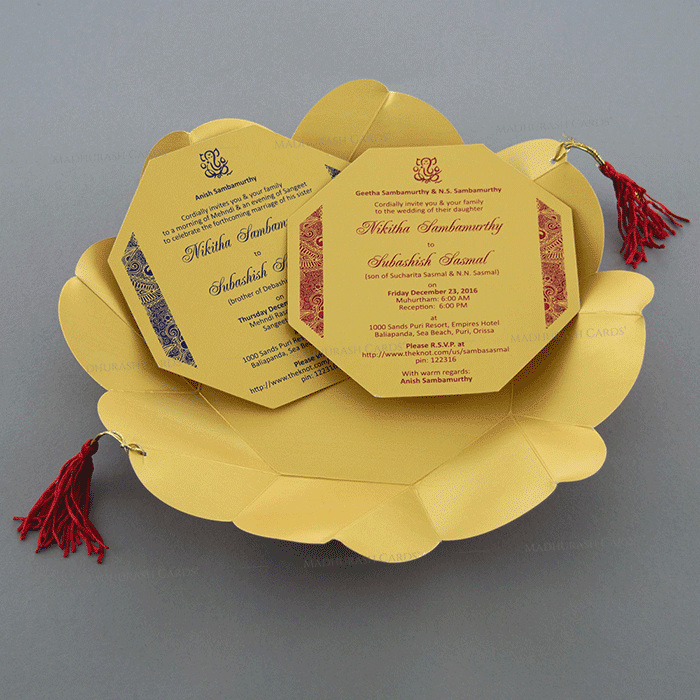 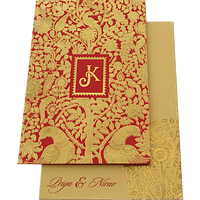 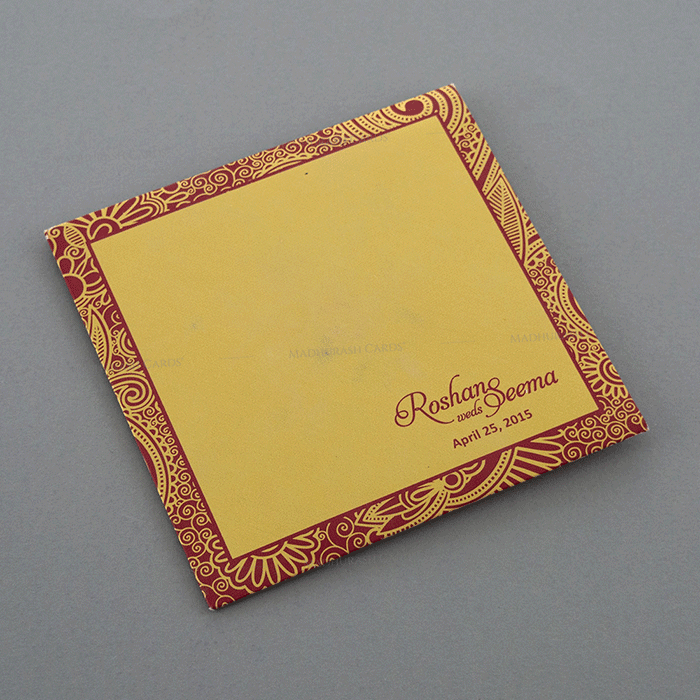 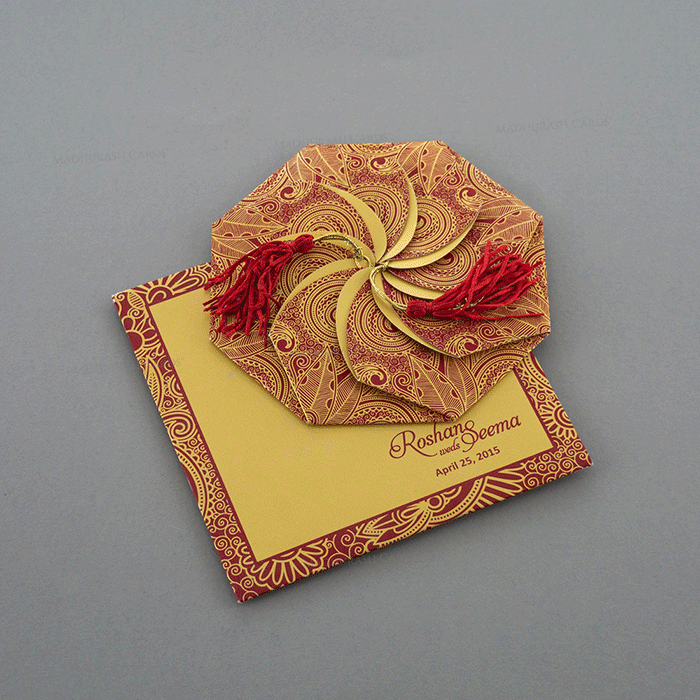 A fascinating octagon shape metallic invitation, which opens like a lotus. 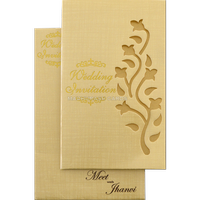 It contains nice flowery prints on top along with tassels and having nice die cut inserts in octagon shape…Its really pretty..! 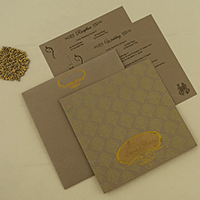 I just thought I'd let you know that I just received the parcel, it all looks amazing! 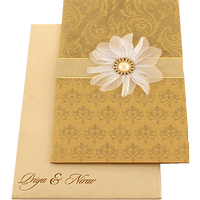 I am so pleased, I nearly had tears in my eyes... You have done a fantastic job & I will definitely recommend you.